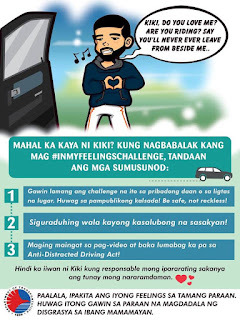 UPDATED: Did the DOTr Just Say It's Okay to Do the #InMyFeelings Challenge? 1. Do the challenge in a private road or safe place. Don’t do it on public roads. Be safe, not reckless! 2. Make sure that there’s no on-coming traffic! In case you didn’t, we’ll spell it out for you: the DOTr just said that you can do the #InMyFeelings Challenge provided you do it in a private road or safe place. Uhhhhhh…right. Sure. What about just condemning this goddam challenge altogether? Violating the Anti-Distracted Driving Act is the least of your problems at this point. 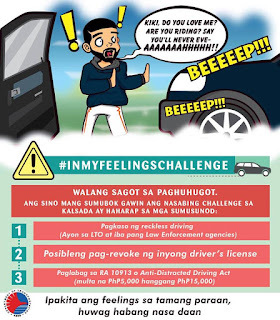 Jumping out of a moving vehicle even when it’s at crawling speed is unsafe and very, very stupid. It doesn’t matter if you do it in the middle of EDSA, in your gated village’s road, or even in your own driveway. The risks are high that you’ll injure yourself or someone around you. 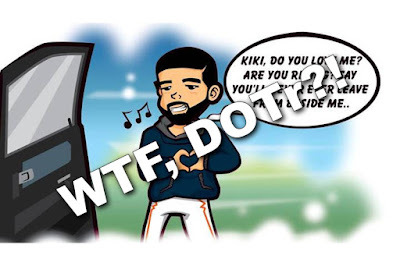 Do everyone a favor, and don’t do it. Just don’t. 2. The possibility of having your driver’s license revoked. 3. 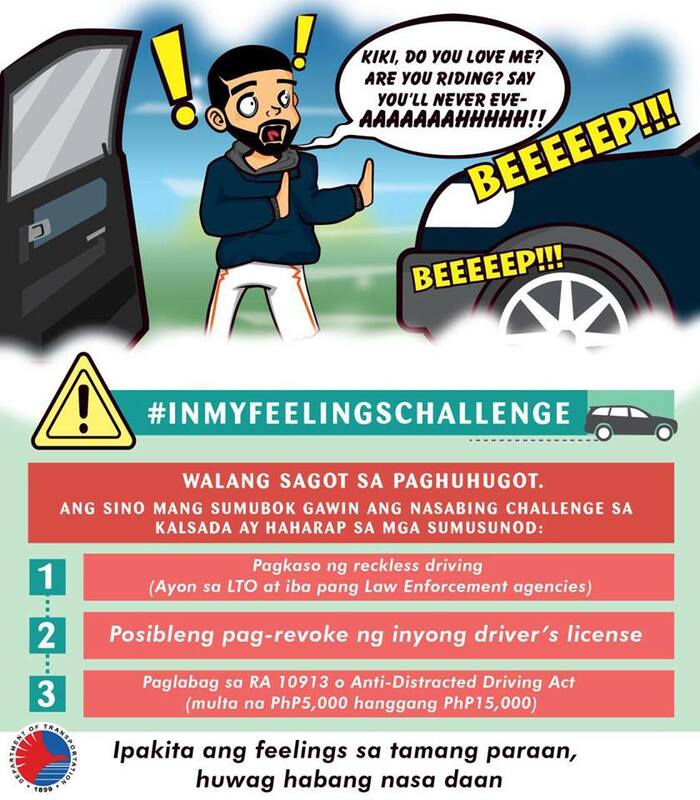 Violation of RA10913 or the Anti-Distracted Driving Act (Fine of P 5,000 to P 15,000). New heights of stupidity, morons who do this dangerous challenge crap. Or Darwinism at work? Hopefully if the idiots get killed doing this they won't take any innocents with them.